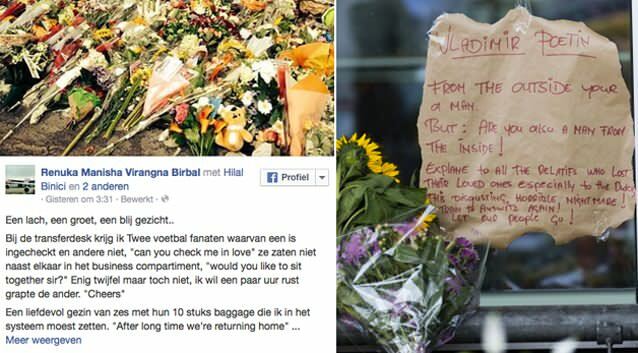 An airline ground crew member who checked passengers in at Amsterdam’s Schiphol Airport for the doomed flight MH17 has made an emotional post on Facebook, recalling sending off holidaymakers, children and grandparents with wishes for “a pleasant flight”. A smile, a greeting, a happy face .. It was busy at the check in desk, so I went there to help my colleagues. A child smiling and waving at me. The crew running towards me waving and signalling. They were ready to drop their luggage at the odd size belt. A man who is about to start a new life in Malaysia. A family get dropped off by their grandparents, kids first holiday far away. Grandma makes photos of how her children and grand children check in. This time I do not mind that I am in the picture. My colleague helps an elderly woman inside, all the way to her seat in row 21, she had difficulty walking and traveling alone. The lady had the same name (one letter difference) as the son of my colleague and said that she would remembered the name. I appeal to everyone to go to the toilet before they enter the gate because there are no toilet facilities at gate G03. A few passengers went back out of the line. A woman traveling with her husband and her mother still asks her mother a few times if she had to go to the toilet, the elderly lady has a bladder problem. I allowed them to wait outside and they can come inside the priority line when their ready. A newly married couple, on the way to their honeymoon. A beautiful little girl hold by her mother, her father behind them pushing the stroller. What is she beautiful, a half Dutch half Malaysian with beautiful big eyes. She kindly smiled at me. A man who could still join the flight to be on time for the funeral of his mother. Grandchildren traveling with their grandparents. A woman want to go out of the gate unable to go to the toilet, unfortunately, we have already begun boarding and nobody can go out. “May I board first then?” of course. A final farewell to the crew, till next time! And then we removed the bridge. Group travel, families, couples, individuals, infants, children, grandmothers, grandfathers, mothers, fathers, sons, daughters, partners, uncles, aunts, colleagues, friends, neighbors, acquaintances. 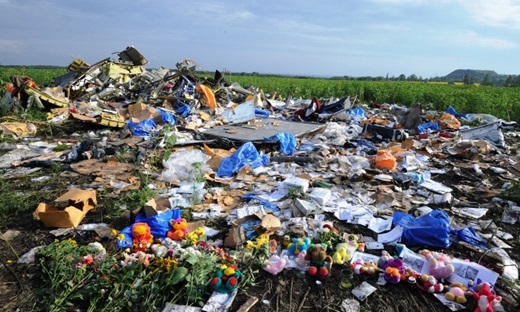 The last time I saw them, talked to them and wish them a pleasant flight the passengers of flight MH017 on 17jul14. If the Crimean crisis has taught us anything about how we deal with Russian’s, it is that they don’t seem to react positively to considered and measured negotiations or weak and insignificant threats. The Russian bear is not for hugging. When you next resume negotiations – not only will you have their respect, strange as it might seem – they will greet you, listen and come to a mutually agreeable settlement. 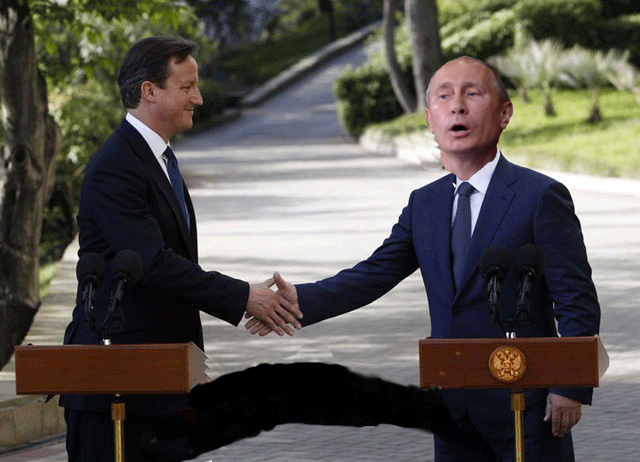 So PM David Cameron – the next time you meet President Putin you know what to do? Go on David…get one in quickly!! Another Russia Today journalist Liz Wahl has spoken out over the ‘ethical’ and ‘moral’ challenges she faced as a presenter on the state funded news network and went further than her colleague Abby Martin by resigning. 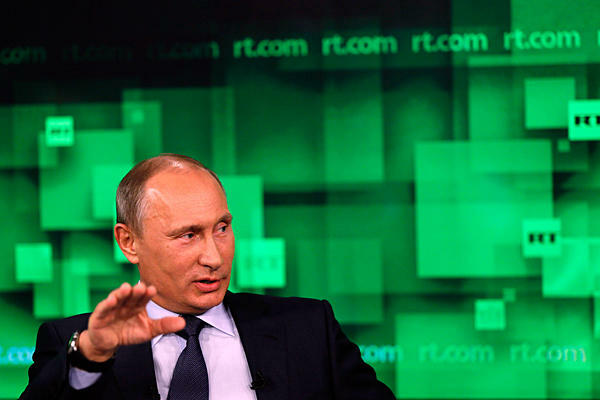 It all started on the 4th March at the end of the show “Breaking the Set” when Abby said she “wanted to say something from my heart about the ongoing political crisis in Ukraine and Russia’s military occupation of Crimea” and that “What Russia did is wrong” and “military intervention is never the answer”. She returned to the air the following night and according to RT wasn’t reprimanded. Of Liz Wahl’s statement and resignation, RT America commented on their youtube video page “When a journalist disagrees with the editorial position of his or her organization, the usual course of action is to address those grievances with the editor, and, if they cannot be resolved, to quit like a professional. But when someone makes a big public show of a personal decision, it is nothing more than a self-promotional stunt”. You can judge for yourself!